Buying a home in some markets is like being in a gladiator ring. Multiple rounds of showings and getting into — and losing — bidding wars can leave you feeling defeated. If you’re growing weary of wading through an increasingly shrinking inventory of resales, there’s another possibility worth considering: buying new construction. Although the pace of new construction has lagged demand in recent years, total housing starts are projected to increase by 6.1 percent in 2016 compared with 2015, says Stephen Melman, director of economic services for the National Association of Home Builders. Much of that gain is likely to come from the single-family sector, which is expected to grow 11.3 percent. Also, new single-family home sales are forecast to rise 13.6 percent this year to 571,000, Melman says. Not all of us are blessed with an interior designer’s touch. With a new home, you pick from expert-selected features, floor plan, housing lot, community and more, so you don’t have to agonize over an extensive remodel to get the house of your dreams. Margaret Garry and her husband, Stephen Hawkins, recently built a new home on Austin’s bustling east side. They decided the upfront investment made more sense than spending excess time and money to constantly fix an older home, Garry says. To stay within budget, though, they avoided unnecessary upgrades that would have added thousands to their final price tag. “When we tried to determine what options to include in our house, we started off by listing everything we wanted, and we came in about $20,000 over budget,” Garry says. To save money, they ultimately pared down extras that they didn’t need, such as an optional living room fireplace and a utility sink in the laundry room. Believe it or not, there’s a bit of flexibility in the negotiation process with a builder. Although some things won’t change, such as lot premiums or the price of adding certain designer upgrades, builders will sweeten the deal with money-saving incentives to close a sale, Melman says. For instance, some builders offer to pay closing costs or loan fees, absorb financing points, or provide options or upgrades for free or reduced cost, he says. If you don’t see incentives advertised, ask about them. Don’t assume that they’re not available. Most new homes typically come with a builder warranty to cover common post-construction issues that the builder is responsible for correcting, so you don’t have to pay out of your pocket for those fixes, says Craig LeMessurier, senior director of corporate communications at KB Home, one of the nation’s largest homebuilders. “Resales don’t come with a warranty,” says LeMessurier, whose company offers a 10-year building warranty on new homes. When you talk to sales associates at new-home communities, ask what that builder’s warranty does and doesn’t cover so there are no surprises later, LeMessurier says. Some builders provide a one-stop shop for you to build and finance through them directly or via a preferred lender. For instance, Garry and her husband chose the latter route because the affiliated lender offered them significant closing-cost assistance that other lenders couldn’t match. 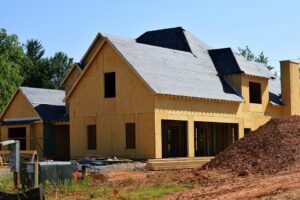 A few things to keep in mind about new-construction financing: Some lenders offering new-home loans might also require higher down payments, an excellent credit score and consistent payment history. Additionally, if you get outside financing, your lender will check your builder’s credit and background to assess its level of risk in case the builder bails on the contract. Deborah Kearns is a staff writer at NerdWallet, a personal finance website. Email:mailto:dkearns@nerdwallet.com?trk=nw-wire_553_249938_24742. Twitter: @debbie_kearns. 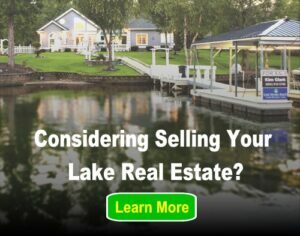 NerdWallet is a Lake Homes Realty / LakeHomes.com content partner providing real estate news and commentary. Its content is produced independently of Lake Homes Realty and LakeHomes.com.